The next fabric shop in the spotlight is La Mercerie. You’re likely here because you follow the lovely and talented Jess on Instagram and you’re taking part in the #sewfancypants event with us this month. If you need to get up to speed, read Nicole’s post here. 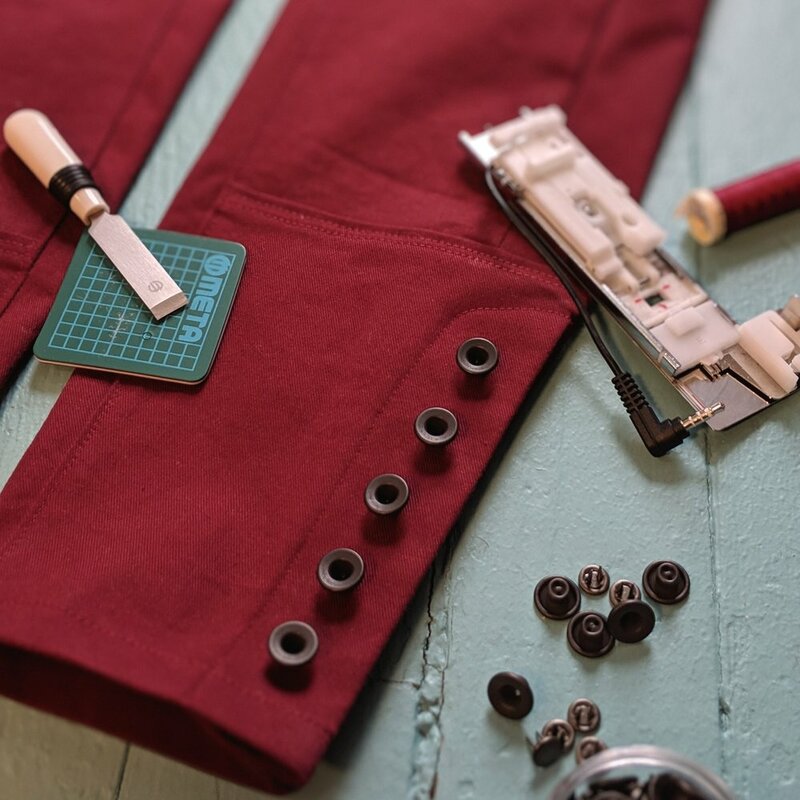 There’s still plenty of prizes to be given away and ample time to sew your own FANCY PANTS! 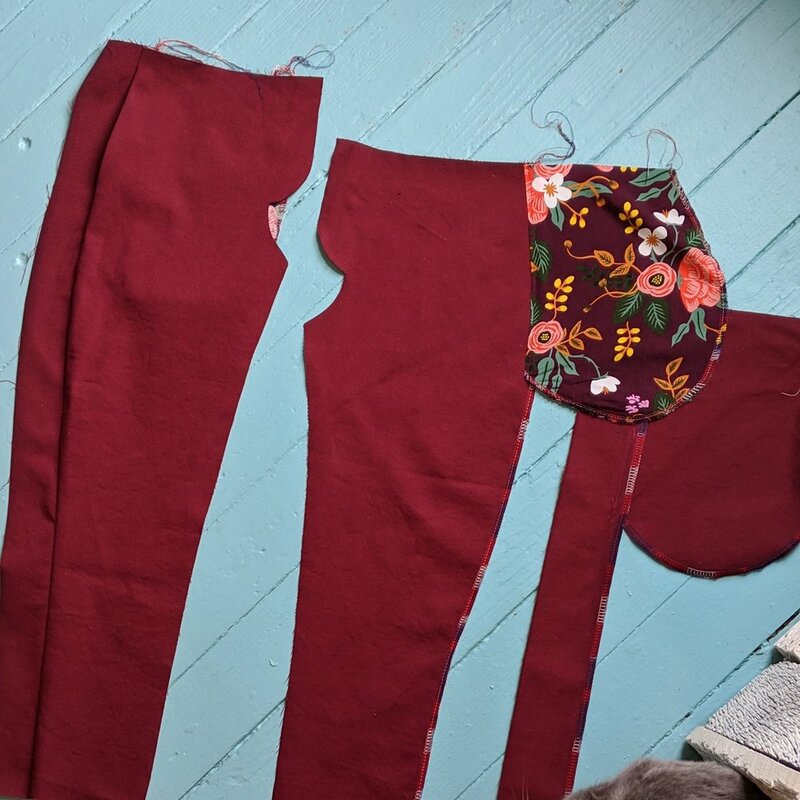 Jess sent over samples of her very popular micro wale stretch corduroy which she was just able to restock this week. 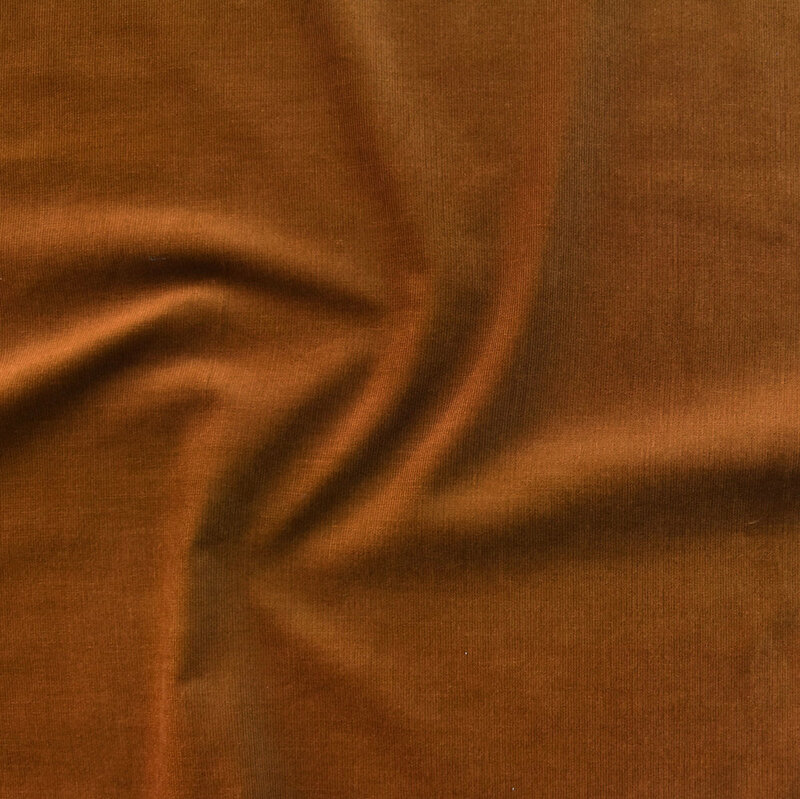 I’ll be able to show you olive, cinnamon, ochre, and bordeaux. The stretch cord color options also include navy, black, and light slate and a slightly heavier 21 wale corduroy in charcoal. 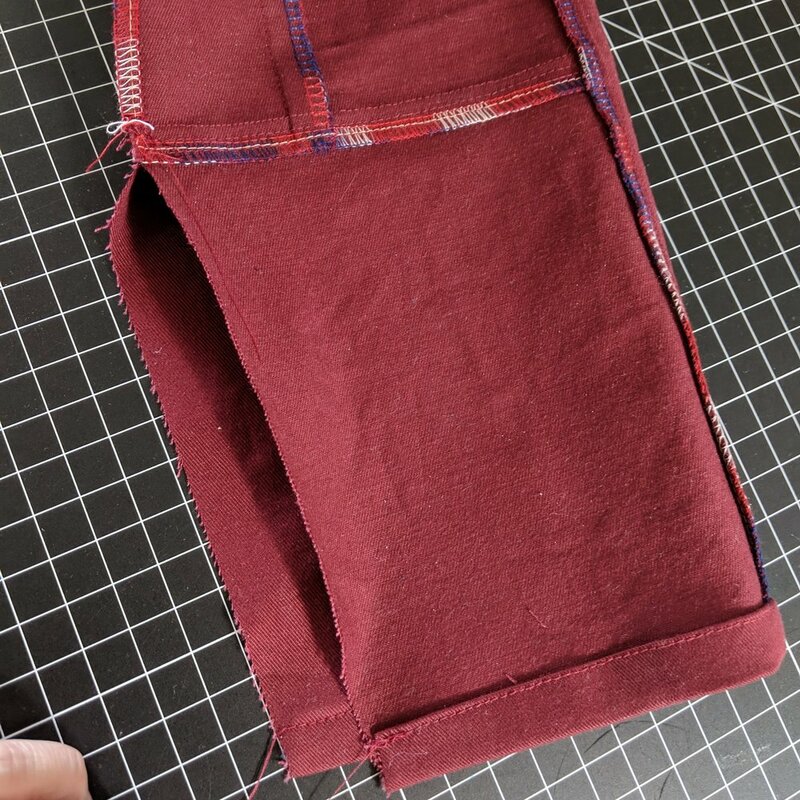 Jess also sent samples of the chino twill so we’ll swoon over those. I’m IN LOVE with the “Nautical Red” color. It’s a lovely faded red/dusty mauve hue. 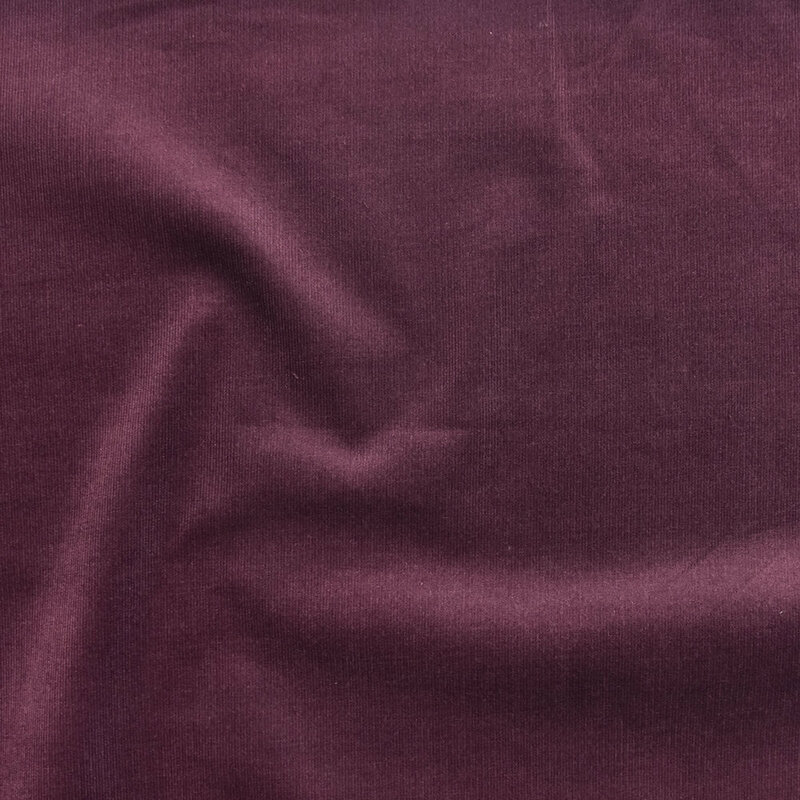 The non-stretch chino twill also comes in wine, creme, charcoal, black, lilac and slate. 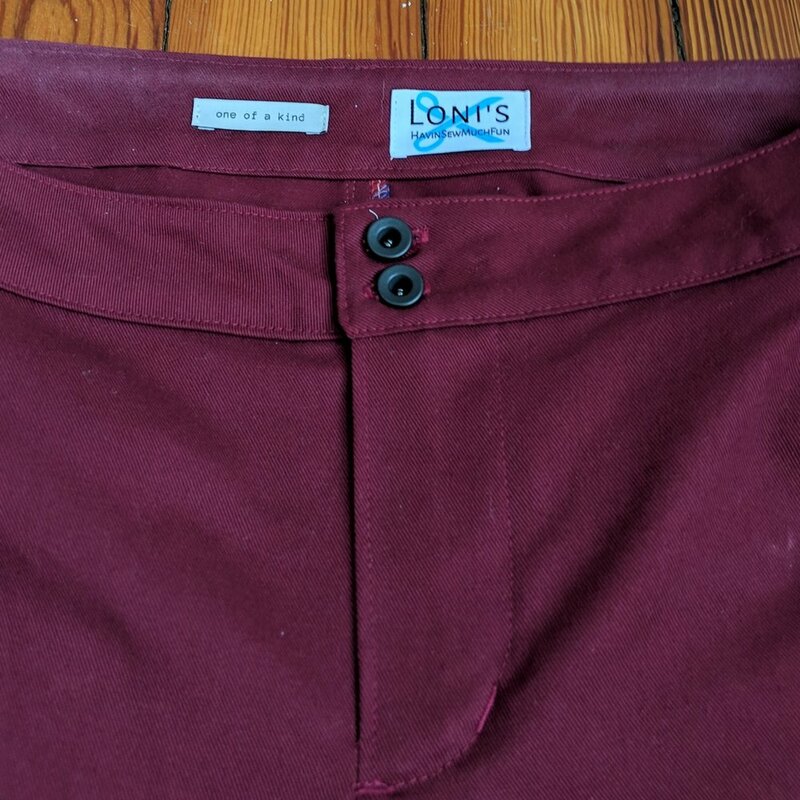 I pulled the stretch stretch chino twill I purchased in November from my stash to share. 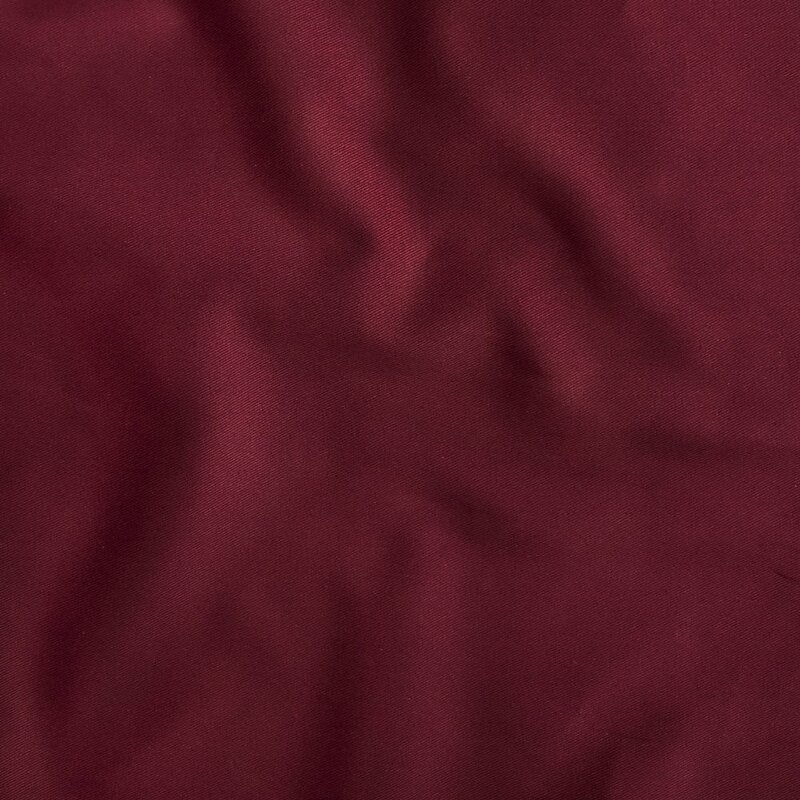 I have 2 yards of the cardinal colorway that I have FANCY PANTS plans for (more here). Black, charcoal, army green, navy, and hunter green are also available. And last but not least, there’s non-stretch, 11 oz Cone Mills in the shop! 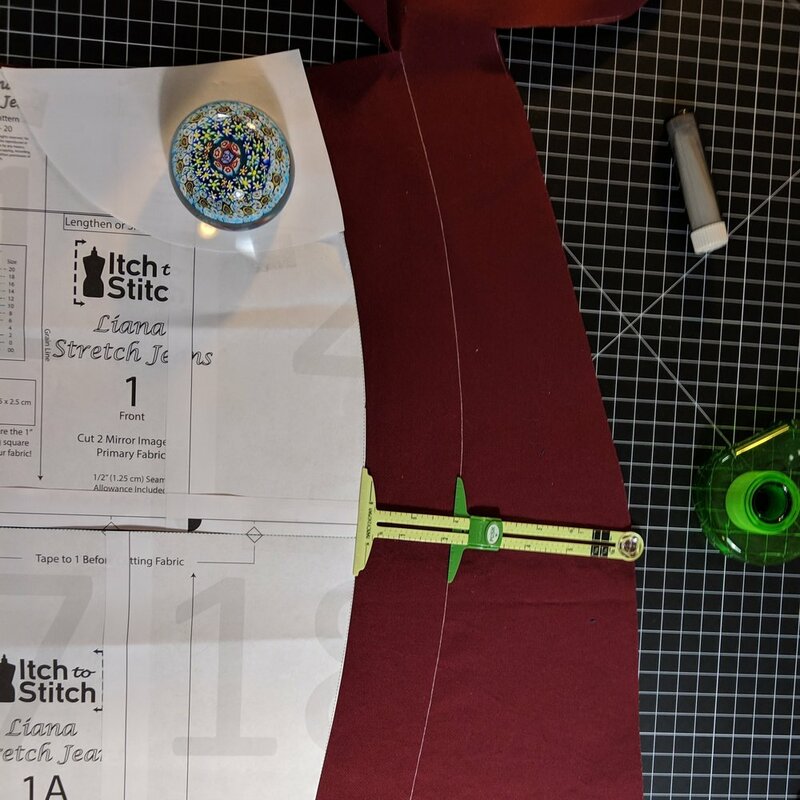 I hope you’ll join us for the live swatch review and sewing chat session on IG, LIVE! There will be a coupon code revealed during the video good for a percentage off all La Mercerie purchases made during live broadcast!